Fonction This assay employs the quantitative sandwich enzyme immunoassay technique. 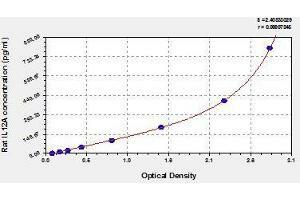 Specificité This assay has high sensitivity and excellent specificity for detection of Rat IL12A. Réactivité croisée (Details) Limited by current skills and knowledge, it is impossible for us to complete the cross-reactivity detection between the target antigen and all analogues for other species. Therefore, cross reaction may still exist. Protocole Antibody specific for IL12A has been pre-coated onto a microplate. 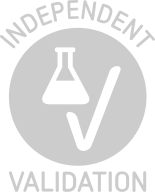 Standards and samples are pipetted into the wells and any IL12A present is bound by the immobilized antibody. After removing any unbound substances, a biotin-conjugated antibody specific for IL12A is added to the wells. After washing, avidin conjugated Horseradish Peroxidase (HRP) is added to the wells. Following a wash to remove any unbound avidin-enzyme reagent, a substrate solution is added to the wells and color develops in proportion to the amount of IL12A bound in the initial step. The color development is stopped and the intensity of the color is measured. Précision du teste Intra-assay precision (precision within an assay): Three samples of known concentration were tested twenty times on one plate to assess precision. Précaution d'utilisation The Stop Solution provided with this kit is an acid solution. Wear eye, hand, face and clothing protection when using this material. Stockage commentaire May be stored at 2-8°C for up to 1 month. For long term storage, please store at -20°C. Try to keep assay plate in a sealed aluminium foil bag and avoid dampness.